One of the best things about a Saddle Skedaddle cycling break is that you don't have to be Chris Hoy to enjoy it. 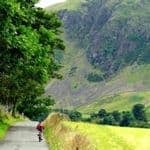 All levels of cyclists are catered for, from gentle weekends in the Cotswolds to full-on mountain-bike marathons through the Welsh mountains. Accommodation is all pre-booked, with the accent on cosy B&Bs with splendiferous breakfasts to get you ready for the off. We specialise in UK and overseas cycling holidays, with more than 15 years’ experience. We offer a full range of fully guided weekends and short breaks that are suitable for all levels of age and ability. You can choose from easy leisure cycling, road cycling or mountain bike options. 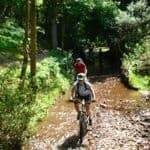 Our road cycling and mountain bike weekends are fully guided – choose from the Lake District, Wales, the Quantocks and the picturesque (and relatively gentle!) Cotswolds. Each each graded according to the level of exertion! 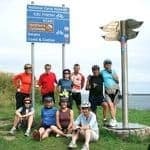 For those looking for a place-to-place cycling challenge, our C2C (Coast to Coast), Way of the Roses and Hadrian Cycleway are great options. These are offered as both self-guided cycling breaks on any date to suit you or, if you are looking for a little more support along the way, then our supported trips are just the ticket. 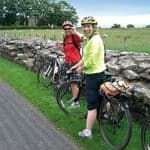 See more cycling holidays in England, Scotland and Wales. 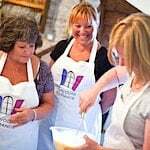 We can also cater for bespoke, corporate and family groups. All of our short break packages include accommodation on bed and breakfast basis in places that that have been selected for their facilities and friendly hosts. Prices start from just £225 per person for a weekend. You can bring your own gear or you can hire one of our top quality bikes and helmets. Find out more about Skedaddle cycling breaks and the latest special offers.